AWD LTZ! Clean 2-Owner CARFAX. 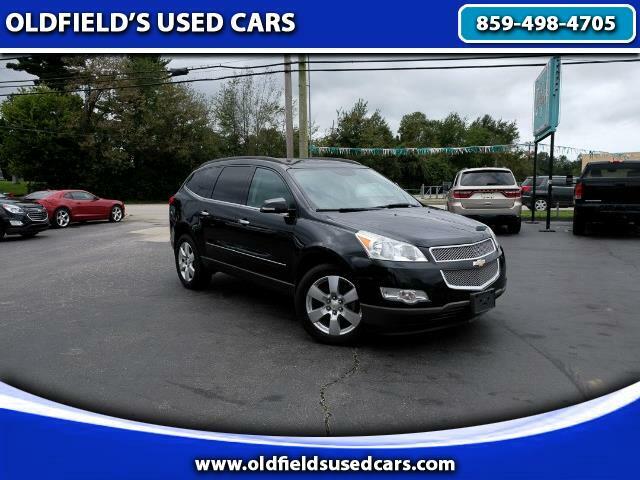 This Traverse has heated/air conditioned leather seats, alloy wheels, backup camera, bluetooth, driver memory seat, full power accessories and power hatch, quad seating, remote start ignition, third-row seat, Bose premium sound and more. It has a good set of tires and is in nice condition overall. Please call for more information or come test drive this Traverse today.